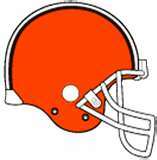 Comments: Comments Off on The investigation of Browns Owner Jimmy Haslam stinks of politics. The investigation of Browns Owner Jimmy Haslam stinks of politics. Anyone that knows the background of Attorney General Eric Holder would expect another attack on Republicans. It was Holder that refused to prosecute the New Black Panthers for threatening white voters with weapons outside Philadelphia voting locations. It was Holder that pushed the Obama regime to sue Maricopa County Sheriff Joe Arpaio and the state of Arizona for having the gall to enforce federal and state immigration laws. It was Holder that refused to inform Congress about giving guns to known drug lords (Operation Fast and Furious) then trying to cover it up. After it blew up in his face, he even tried to use the scandal to justify stricter gun control laws. And of course Holder and the Obama regime are not at all bashful about using the IRS to further their political agenda. The Congress is just now getting started investigating the IRS suppressing conservative votes in the 2012 election by refusing to approve Tea Party groups’ applications for non-profit status. So it should not have surprised anyone that the Obama regime would go after an gas and oil distribution company owned by a family that includes the Republican Governor of Tennessee. While the charges against Haslam are serious, we must consider the source—the most politically corrupt regime in recent US history. The advantage of being in power is that you can decide who gets investigated and who gets a pass. If Pilot/Flying J was owned by Al Gore, there would be a courtesy call from the AG to Al saying clean up the rebate program. Since PFJ is owned by Republicans, they get locked down, investigated and skewered in the media. So when the regime is crying about the unfair practices of PFJ just remember, it is the Obama regime that is the most unfair. I am not saying that PFJ did not screw up. But I do believe that had the family been good Democrats, Holder and Obama would not be going after them. Optimum Scouting Annual NFL Draft Guide is my choice! Good job on listing just a few of the violations at USC. Reading the blogs and comments that USC fans have left on other sites, I hope you’re prepared for the avalanche of infantile and just plain dumb invective that the minions of Troy are about to hit you with. They talk among themselves about ‘losing a few scolies’ and/or ‘minor probation’ but they just don’t seem to get it. They’re four square against ‘punishing the kids of today for the sins of yesterday’. Keep telling it like it is. Having the political site Fryingpanpolitics.blog.com, I am used to people taking shots at me verbally. So far no shots from a gun. I do my best to let my readers know exactly what I think and really appreciate you and everyone else that has taken the time to leave a comment. The Raiders have filed a grievance against former QB and top overall pick JaMarcus Russell. The team claims in the filing that he owes 9+M of the money he was paid because his contract was changed and that money was intended to be advances on his salary for 2010-2012. Davis better sue Burger King because chances are they have more of Russell’s money than he does. One of the reasons he looks more like a NT than a QB is that he has 2 double Woopers as a snack between meals. QB Ben Roethlisberger has been cleared by the league to rejoin the Steelers and participate in preseason activities. However, he must be away from the team from the end of the last preseason game until his suspension is over or Commissioner Goodell reduces it and again allows him to return. It looks like the NBA Western Conference Finals will go 7 games. Both teams have held in home games. But Los Suns almost stole game 5 in LA coming back from 20+ down to take the game to OT. The Lakers will lose tonight at Phoenix then we will see who is the tough guy in game 7. I think the Lakers will win but I wouldn’t bet the farm on it. Look for the Magic to make some changes in 2010-2011. The Magic looked bad, horrible, OK then bad again in losing to the Celtics. The Magic just had no answer for PG Rondo but neither does anyone else. Right now he is playing the best ball in the post season. But the Magic need to get some help for Howard or look to lose again next season. The Black Hawks look like the favorite in the NHL final series. While the Flyers have been magic this playoff season, the Black Hawks just have too much talent to be denied. IF they can keep this team together financially, they could be a favorite for the next couple of championships. Political Correctness strikes the NFL again. The owners voted to give the 2014 Super Bowl to New Jersey. Enjoy the city of New York but they had better hope that Obama is right about global warming. They will need a lot of it to have a reasonable day in February. Cowboy WR Patrick Crayton is in limbo. The Cowboys don’t really want him because he at best figures to be the 5th WR but is making 2M. But the Boys don’t want to trade him either even though he has asked to be dealt. They are waiting to see if they get a really good trade offer if a team loses a player. Reports from Raider land say the O looks much improved. The replacement of Russell with QB Jason Campbell has to have improved things. I could be more accurate than Russell and I am 62 years old. RB LenDale White is cut by his college coach. Former USC Coach Carroll traded for his college RB White during the 2010 draft. But despite losing 45 pounds, White was not in football shape and was cut. White is also facing a 4 game suspension for violating the NFL’s drug policy. If the guy that recruited you out of high school doesn’t think you can do the job, good luck getting another contract. NFL RBs are struggling with injuries. Titan RB Javon Ringer and Texan RB Ben Tate are both suffering with hamstring injuries. Dolphin Ronnie Brown is recovering from foot surgery. He will take part in the team’s minicamp even though he is a RFA. The problem is greater for Tennessee because star RB Chris Johnson is holding out and RB LeGarrette Blount may not be there for minicamp. Comments: Comments Off on The final USA/Coaches Poll votes will not be made public! The final USA/Coaches Poll votes will not be made public! American Football Coaches Association announced Wednesday that the final vote by individual coaches for the USA/Coaches Poll will not be made public. The ONLY vote of coaches that is made public is the final poll. The other polls really don’t care to anyone anyway. AFCA executive director Grant Teaff said the change will contribute to “making our poll the best poll it can possibly be.” The USA/Coaches poll helps decide which 2 teams play for the BcS Championship will not be released. According to a study done for the organization by Gallop, the votes for the final poll should be kept private to help promote accuracy in the result. WHAT? I thought that the secret ballot was the very seed of evil. That’s why the President and Congress are so intent on making workers vote for or against unionization in public including union “organizers” with the so called Employee Free Choice Act. Seriously, the coaches want cover from the criticism that has resulted from their previous votes. Several SEC coaches at their league meeting have already spoken out against the change. That list includes Steve Spurrier (South Carolina) and Mark Rick (Georgia). This change will take effect in the 2010 season unless the decision is reversed. This is just another step further away from anything that has a sliver of legitimacy of a true national championship. It is pure arrogance because the coaches don’t want to be criticized for their vote. Even worse, it makes a system that is devoid of benefit to the fans who are the customers of college sports even more worthless. Even if there was not collusion between voters to fix the game, this move indicates that they are looking to do that in upcoming years. The fact is that the ONLY way fans are ever going to get a true playoff in division 1 football is for the big contributors to colleges around the country to cut off their donations until the pinhead president of the school stops voting against a playoff and becomes a supporter. The only thing that college presidents understand is money. Money is the only thing that will get them to change their minds. I personally stopped tradition of call ins to the Ohio State president during the half time of OSU football games. After Pres. Gee had decried the lack of money from the taxpayer via the Ohio Legislature, I asked him why he didn’t help erase the deficit by cutting his salary in half. He refused to answer the question. The radio station that carried the OSU games never had a call in segment to him at half time again.